Tuesday was launch night! Thanks to everyone for coming out to help us celebrate the Points of Welcome at the Southbank Centre. Great photo here care of Max Lyne over at RARA. Max was kind enough to source the Chestnut for us from West Sussex. 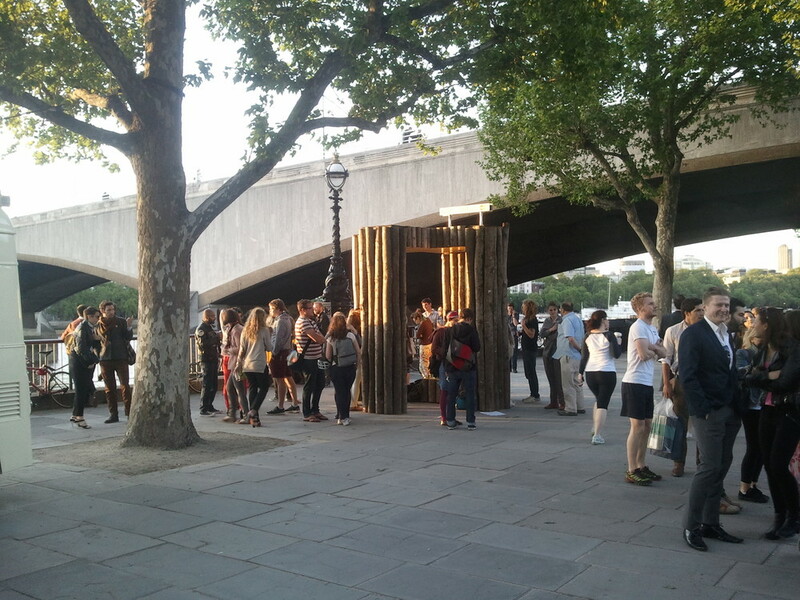 RARA, Southbank, Festival of the Neighbourhood, Party! It's happening folks! Scout's officially creating 10 Wayfinding Structures for Southbank's Festival of the Neighborhood. Look for us here June 1st onwards!